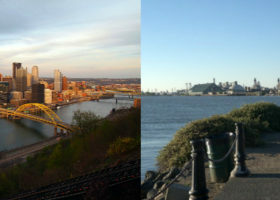 Pittsburgh, PA: The second-largest city in Pennsylvania. 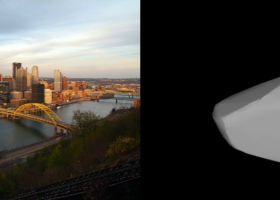 484 Pittsburghia: An asteroid. 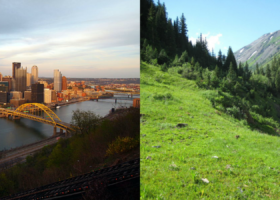 Or, steel bridges vs. covered bridges. 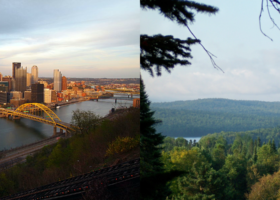 Pittsburgh, PA: A town of ghosts. Pittsburg, CO: A ghost town. 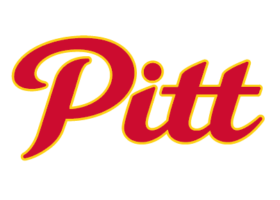 While there is only one Pittsburgh, there are in fact many Pittsburgs.